Nelspruit is the capital city of Mpumalanga Province, and is also known as Mbombela. Nelspruit was founded in 1905 by three brothers of the Nel family who grazed their cattle around the site of Nelspruit during the winter months. It is contained in the Mbombela Local Municipality (Mbombela is the Siswati word for "a lot of people together in a small space"). Getting to and from Nelspruit. Nelspruit has one international airport, the Kruger Mpumalanga International Airport, which is 25 kilometers outside Nelspruit. There are frequent flights to Johannesburg. However, there are a numberof outfits offering charter flights to Nelspruit. Nelspruit lies on the N4 highway, which runs through to Pretoria and Maputo. Nelspruit lies in the north-eastern part of South Africa. It is 60km from the Kruger National Park, 40 minutes from Zimbabwe & 90 minutes from the beaches of Mozambique. The winters in Nelspruit are mild with temperatures between 22° and 25° celsius. In the summer, temperatures march up into the high 30s, with rainfall from October to March. The areas surrounding Nelspruit are used for growing fruit (the subtropical climate is right for growing citrus and tropical fruits, such as mangoes & bananas); Nelspruit is a trading centre for the fruit. On 1995 Nelspruit was proclaimed the capital of the Mpumalanga Province. 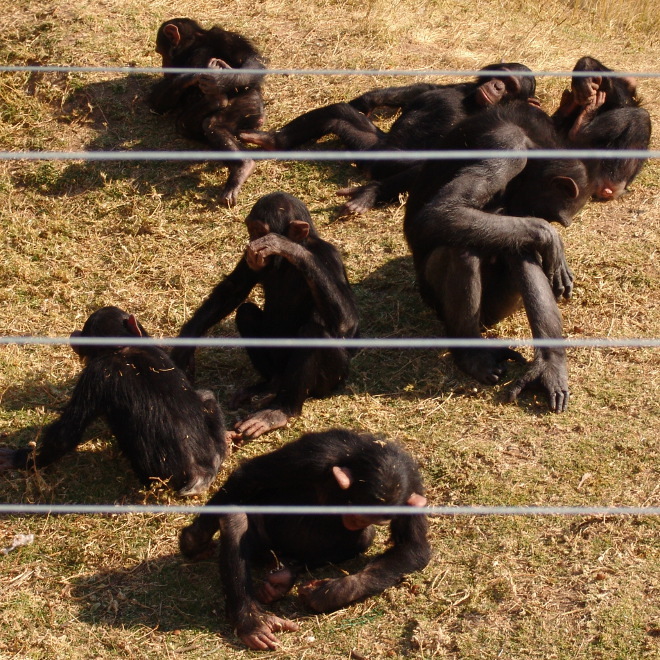 Chimp Eden is home to chimps which are being rehabilitated, or given a comfortable spot to live out their final years in as natural an environment as possible.